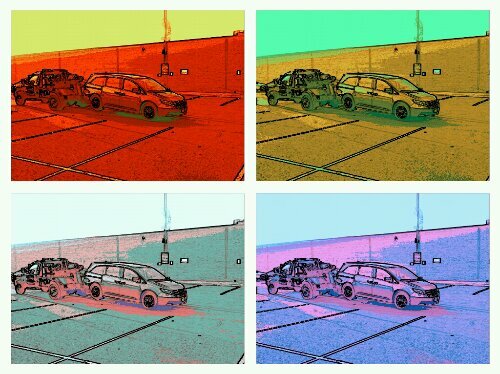 Find A Towed Car or Relocated Car/Vehicle! LOOKING FOR A CAR TOWED IN MEMPHIS? LOOKING FOR A CAR TOWED IN MEMPHIS TN? Vehicles towed and/or relocated in Memphis can by contacting the City of Memphis Police Department. The City of Memphis webpage for Towing Citations does not allow you to search for towed cars by License Plate number. In order to locate your towed car, you must contact them directly. Vehicles can be towed if there are three outstanding citation tickets that are 20 days or more past the issue date. If placed on the docket, a cash City Appearance Bond for the total amount due is required. Acceptable forms of payment include: Cash, cashier’s check, money order or credit card. No personal checks. You must pay in full. You then get a release form. (they specify vehicle owner). Then you get directions to the City of Memphis Impound Lot. There are also storage fees and towing fees which the owner of the car must pay to the City Impound Lot. Tickets in Memphis are handled by the Traffic Violation Bureau. These include traffic summonses, citations and ordinance summons monies owed to the City of Memphis. 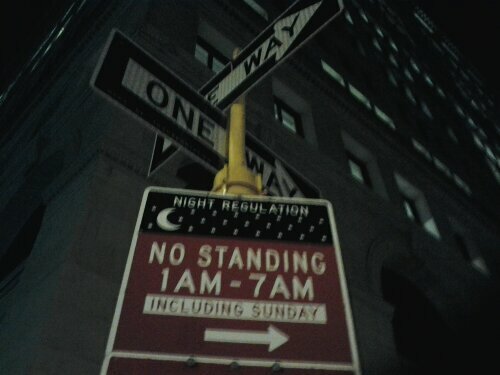 There are also Red Light Camera Tickets. LOOKING FOR A CAR TOWED IN New Orleans? FIND YOUR VEHICLE IN New Orleans! The City of New Orleans has multiple sites which can be used to find a towed or relocated car. In New Orleans sometimes cars are towed and other times they are relocated. The sites that we link to on this page can help you find a car that was towed, impounded or a car that was relocated in New Orleans. MY CAR WAS IMPOUNDED IN New Orleans! ok..MAYBE MY CAR WAS RELOCATED IN New Orleans! If your car was towed in New Orleans, you should first stop and figure out where it was towed from. It is important to know the difference between impound and relocation of your vehicle. Sometimes, your vehicle is taken to another place and placed in a legal parking spot. It is important to note that despite your initial instincts, the towing of your car does not mean that it was impounded. The Department of Public Works handles towed cars. New Orleans Auto Impound Service information can be obtained by calling (504) 658-8284 or (504) 658-8285 24-hours daily to confirm whether or not a vehicle has been impounded. CLICK HERE for the website of the agency responsible for towing cars in New Orleans. CLICK HERE for the website for the agency that gives information someone can use to retrieve their car which was towed in New Orleans. CLICK HERE for the page at the website that one can use to search for a towed car. LOOKING FOR A CAR TOWED IN Forth Worth? LOOKING FOR A Vehicle TOWED IN Forth Worth? FIND YOUR VEHICLE IN Forth Worth! The City of Forth Worth has multiple sites which can be used to find a towed or relocated car. In Forth Worth sometimes cars are towed and other times they are relocated. The sites that we link to on this page can help you find a car that was towed, impounded or a car that was relocated in Forth Worth. MY CAR WAS IMPOUNDED IN Forth Worth! ok..MAYBE MY CAR WAS RELOCATED IN Forth Worth! If your car was towed in Forth Worth, you should first stop and figure out where it was towed from. It is important to know the difference between impound and relocation of your vehicle. Sometimes, your vehicle is taken to another place and placed in a legal parking spot. It is important to note that despite your initial instincts, the towing of your car does not mean that it was impounded. 24 hours a day, seven (7) days a week. As per City Ordinance No. 12924. These fees are subject to change. Contact the auto pound for current fees. WHAT IS THE BOOT? WHEN CAN A CAR BE BOOTED IN Forth Worth? In Forth Worth your car can have a Boot placed on it if you have three or more delinquent citations or tickets. A boot is a device that attaches to your car wheel and prevents you from moving the car. If your car is Booted, you must resolve the issue immediately. If the issue is not resolved, your car may be considered abandoned. Your car can then be towed and possibly auctioned off. Payment of the fees due and owing is the most appropriate response to a Boot if you wish to prevent your car from being towed to the Auto Pound. Click Here to learn more about Paying to Park in Fort Worth with the Parking Pass! This site makes no claims as to the content, accuracy, timeliness, or completeness of any of the data provided at this site. The data provided at this site is subject to change at any time. It is understood that the data provided at this site is being used at one’s own risk. LOOKING FOR A CAR TOWED IN EL PASO? LOOKING FOR A CAR TOWED IN EL PASO COUNTY? FIND YOUR VEHICLE IN EL PASO! The City of El Paso has multiple sites which can be used to find a towed or relocated car. In El Paso sometimes cars are towed and other times they are relocated. The sites that we link to on this page can help you find a car that was towed, impounded or a car that was relocated in El Paso. MY CAR WAS IMPOUNDED IN El Paso! ok..MAYBE MY CAR WAS RELOCATED IN El Paso! If your car was towed in El Paso, you should first stop and figure out where it was towed from. It is important to know the difference between impound and relocation of your vehicle. Sometimes, your vehicle is taken to another place and placed in a legal parking spot. It is important to note that despite your initial instincts, the towing of your car does not mean that it was impounded. WHAT IS THE BOOT? WHEN CAN A CAR BE BOOTED IN EL PASO? In El Paso your car can have a Boot placed on it if you have three or more delinquent citations or tickets. A boot is a device that attaches to your car wheel and prevents you from moving the car. If your car is Booted, you must resolve the issue immediately. If the issue is not resolved, your car may be considered abandoned. Your car can then be towed and possibly auctioned off. Payment of the fees due and owing is the most appropriate response to a Boot if you wish to prevent your car from being towed to the impound lot. The registered owner of an immobilized or impounded vehicle, or other authorized person may secure release of the vehicle by paying the total amount of the fine, any late fees for each delinquent citation, including any arrest warrants against the owner of the vehicle for Class C misdemeanors, a $ 50.00 boot fee, transportation costs incurred by the city, towing and storage fees. These charges may be paid at any bond office location, checks will not be accepted. The registered owner of an immobilized or impounded vehicle shall have the right to a prompt post-immobilization hearing (“boot hearing”) before the hearing officer. The boot hearing shall be held within 24 hours following the written request therefore, excluding Saturdays, Sundays, and City of El Paso holidays, at the Municipal Court, 810 E. Overland, El Paso, Texas 79901. The issue to be determined at the boot hearing is whether the immobilization was authorized by law. The determination of the hearing officer at the boot hearing is final. If the hearing officer finds that the owner of the vehicle is not liable for any of the citations, a release order for the vehicle will be issued. It is possible that you might get a recording. Please leave a message and the Deputy Court Clerk will return your call. Please include the citation # and the date the citation was issued. Please include the original citation, if possible. If not, include the citation # and the date of issuance. Please include a copy of the citation if possible. If not, include the citation # and the date of issuance. LOOKING FOR A CAR TOWED IN ATLANTA? FIND YOUR VEHICLE IN Atlanta! The City of Atlanta has a webpage with information which can help you find a towed vehicle or get information about retrieving a towed vehicle. A good starting point for locating a car towed in the City of ATLANTA is the Fulton County Police Department. Hours of operation Monday thru Friday 08:30 AM to 5:00 PM. CARTOWED.COM makes no claims as to the content, accuracy, timeliness, or completeness of any of the data provided at this site. The data provided at this site is subject to change at any time. It is understood that the data provided at this site is being used at one’s own risk. LOOKING FOR A CAR TOWED IN LAS VEGAS? LOOKING FOR A CAR TOWED IN THE CITY OF Las Vegas? Looking for a towed vehicle in Clarke County? Vehicles towed and/or relocated in the City ofLas Vegas can be found using the Las Vegas Towed Vehicle Search Site (which requires telephone contact with the Police Department). The site allows you to search for towed cars by License Plate number. You must be the registered or legal owner of the vehicle you are inquiring about. LOOKING FOR A CAR TOWED IN CONCORD CALIFORNIA? FIND YOUR VEHICLE IN CONCORD! FIND A VEHICLE TOWED IN Contra Costa County! The City of Concord has a webpage with information which can help you find a towed vehicle or get information about retrieving a towed vehicle. A good starting point for locating a car towed in the City of CONCORD is AutoReturn. AutoReturn is CONCORD’s vehicle locator information provider. It is the company the City of Concord Police Department uses for towing management. If you use the AutoReturn website, you can search for cars towed in Concord by License Plate Number. You can also search for impounded cars by VIN. If your car was towed in Concord and you know what date your car was towed on, you can also enter the date, the year, make, model and color of the car and possibly locate your towed car. LOOKING FOR A CAR TOWED IN SAN DIEGO? LOOKING FOR A CAR TOWED IN SAN DIEGO COUNTY? FIND YOUR VEHICLE IN SAN DIEGO! 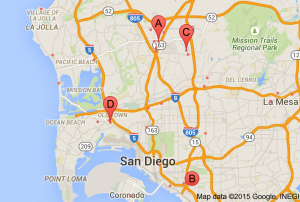 The City of San Diego, California has multiple sites which can be used to find a towed or relocated car. In San Diego sometimes cars are towed and other times they are relocated. The sites that we link to on this page can help you find a car that was towed or a car that was relocated in San Diego. 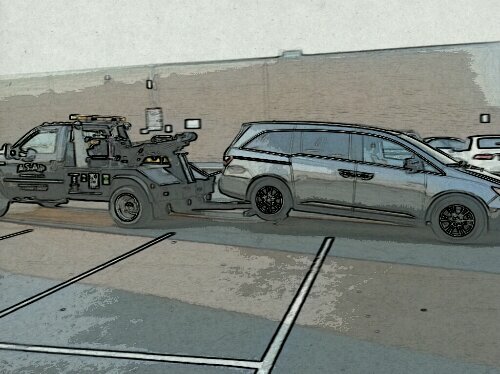 Some times, a car in San Diego is impounded. If your car was towed or impounded in Indianapolis, it most likely can be found in the San Diego Auto Return Impound Lot. The San Diego Impound is run by Auto Return. 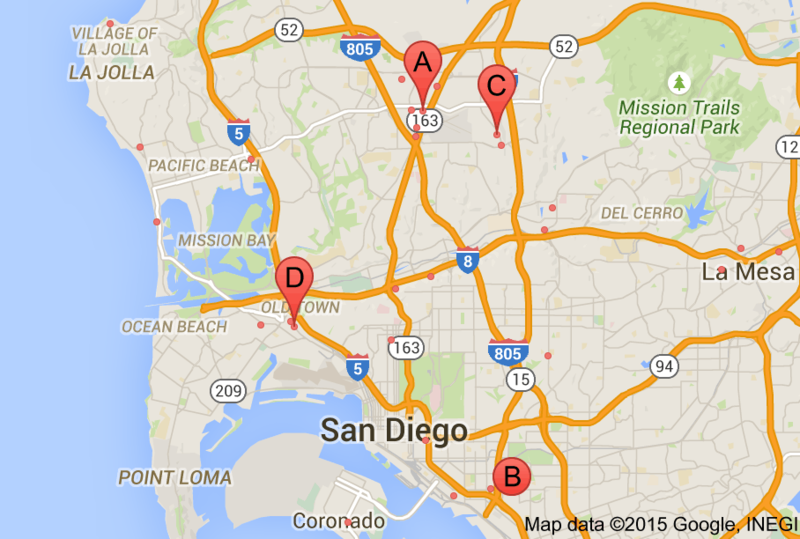 The City of San Diego actually utilizes eight (8) tow impound facilities. CLICK HERE for San Diego Parking Enforcement Holidays – find out when parking is suspended in San Diego! LOOKING FOR A CAR TOWED IN SEATTLE? LOOKING FOR A CAR TOWED IN KING COUNTY? FIND YOUR VEHICLE IN SEATTLE! The City of Seattle has multiple sites which can be used to find a towed or relocated car. In Seattle sometimes cars are towed and other times they are relocated. The sites that we link to on this page can help you find a car that was towed or a car that was relocated in Seattle. If your car was towed in Seattle, you should first stop and figure out where it was towed from. WAS YOUR CAR TOWED IN A PARKING LOT IN SEATTLE? If your car was towed from a private parking lot, there will often be a sign at the entrance of the parking lot which has the address and/or phone number of a local towing company. Contacting that towing company is a good starting point for finding your towed car. WAS YOUR CAR TOWED FROM PRIVATE PROPERTY IN KING COUNTY? CLICK HERE if your car was towed from a tow away zone in Seattle. The good news is, if your car was towed in Seattle, chances are that the Seattle Police Department Records Unit may have information which can help you locate your towed vehicle. The number is (206) 684-5444. CLICK HERE to go the Seattle Impound Website. Call Lincoln Towing at 206-364-2000 to get more information. FOR MORE INFORMATION GO TO THE CITY OF SEATTLE WEBSITE! This page contains information about towed and impounded vehicles in Seattle. WAS YOUR CAR IMPOUNDED BY THE CITY OF SEATTLE? CLICK HERE to go the Seattle Impound Website. WAS YOUR CAR IMPOUNDED IN KING COUNTY? WAS YOUR CAR STOLEN IN KING COUNTY? WAS YOUR CAR STOLEN IN SEATTLE? If your car is towed in Seattle, you will be subject to fees of $110.50 for impound and $13.00 per 12 hours storage or any part. The aforementioned amounts do not include winching and dolly fee if required. Please note, you must contact the storage lot or municipality for the actual amounts. The amounts set forth herein may not be current and provided for informational purposes. HOW CAN I FIND THE TOWING LAWS FOR SEATTLE WASHINGTON? The City of Seattle website has a very comprehensive page detailing your rights as a customer in connection with towing. CLICK HERE to go to the Seattle rights as a customer page. CLICK HERE to get information regarding filing a complaint against a tow company in Seattle. CLICK HERE for information relevant to persons who have had a vehicle towed in Seattle. This towing information resources is relevant to vehicles which have been towed from private property. This information resource provides information about your rights once your car has been towed from private property in Seattle. LOOKING FOR A CAR TOWED IN NASHVILLE? LOOKING FOR A CAR TOWED IN DAVIDSON COUNTY? FIND YOUR VEHICLE IN NASHVILLE! The City of Nashville has multiple sites which can be used to find a towed or relocated car. In Nashville sometimes cars are towed and other times they are relocated. The sites that we link to on this page can help you find a car that was towed or a car that was relocated in Nashville. CLICK HERE to go to the City of Nashville UR VMS Vehicle Storage Facility. This site gives you Nashville towed vehicle information, Nashville Impounded Vehicle information and Nashville relocated vehicle information. Find a towed car or relocated car in Nashville if it is in the Nashville Police Department (Vehicle Impound Section). You can search by make of the vehicle, and/or search by the license plate or VIN number. CLICK HERE to go to find a car towed in Nashville. The Nashville Police Department Vehicle Impound Section also has a Phone line. The number to the Nashville PD Vehicle Impound Section is (615) 862-7800. If your car was stolen, you can get information from the Nashville Police Department about what to do next. They are open 24 hours a day, 7 days a week. Injured? 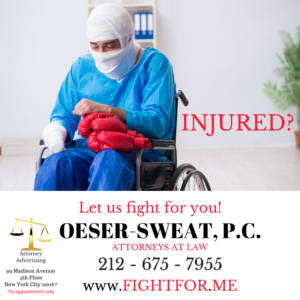 We will fight for you! Where was your car towed? 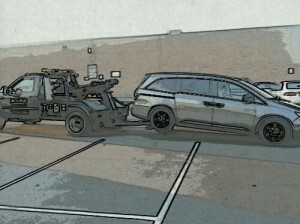 CARTOWED.COM IS THE ULTIMATE SOURCE FOR FINDING TOWED VEHICLES IN THE UNITED STATES! CARSTOWED.COM has the most comprehensive directory of towed car location system sites on the internet!! If your car has been towed, we can help you find it. Our free directory will help you find the vehicle locator in the area in which your car was towed!. Search the Ultimate FREE Towed Car Location System Directory by CITY in order to locate your towed Car! FIND YOUR TOWED VEHICLE! Search the Ultimate FREE Towed Car Location System Directory by STATE in order to locate your towed vehicle! FIND YOUR TOWED CAR!